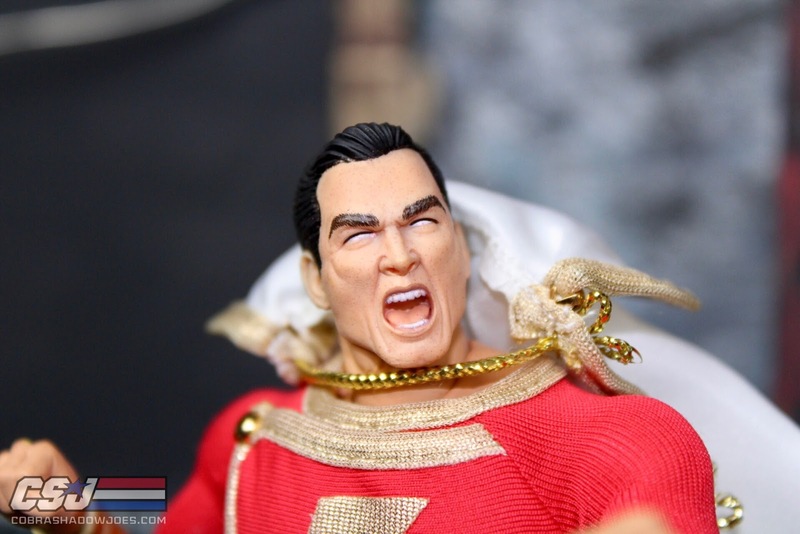 Shazam comes with 3 different excellent face sculpts. 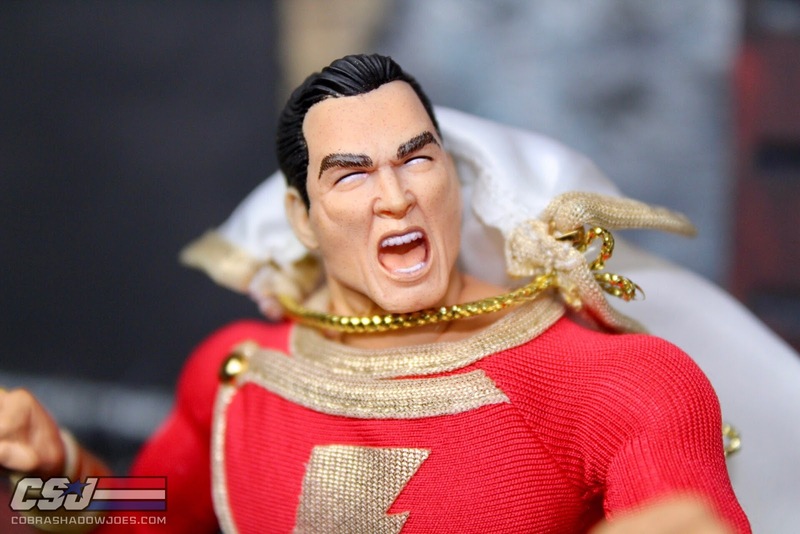 Highly pose able cape with wire. 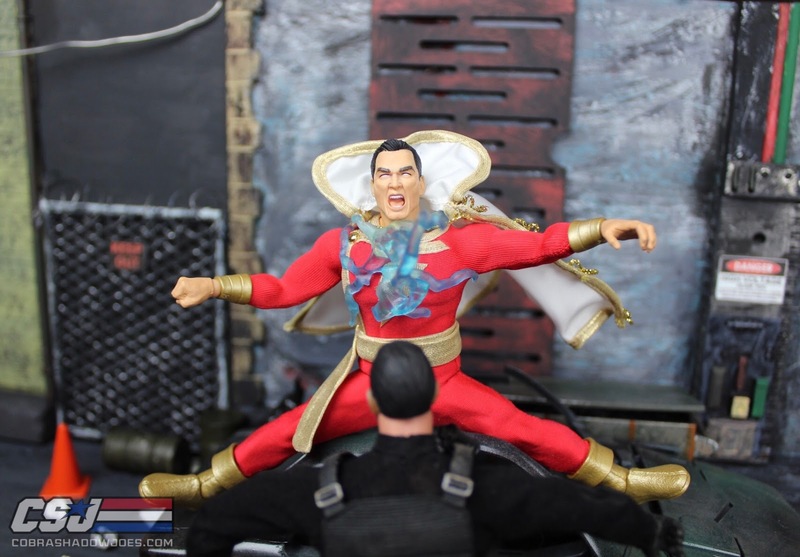 Super articulated body with over 32 points of articulation. 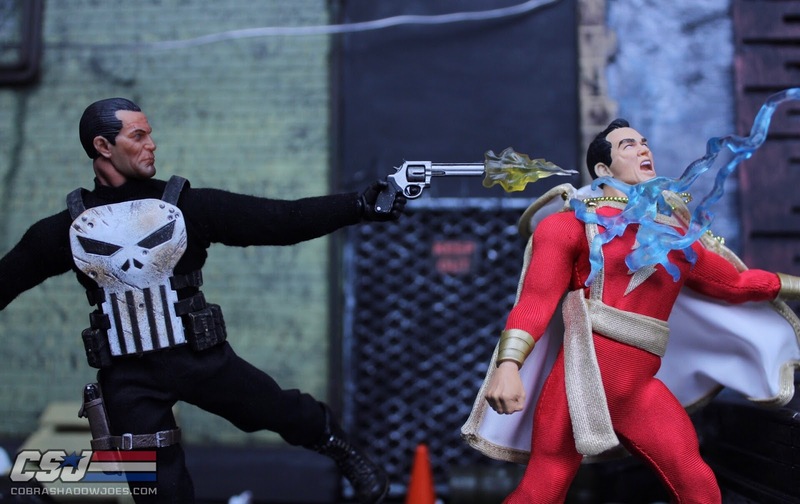 Includes Mr Mind and Mr Atom. 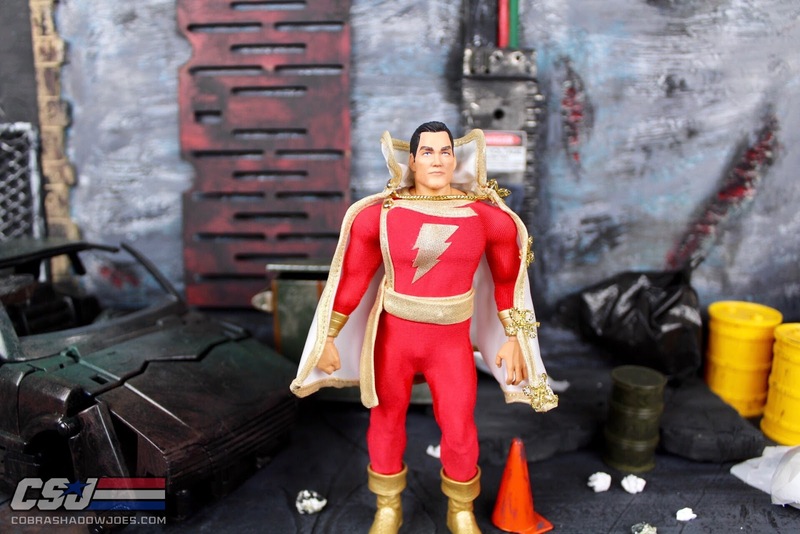 Lighting Bolt that can be attached to his chest. 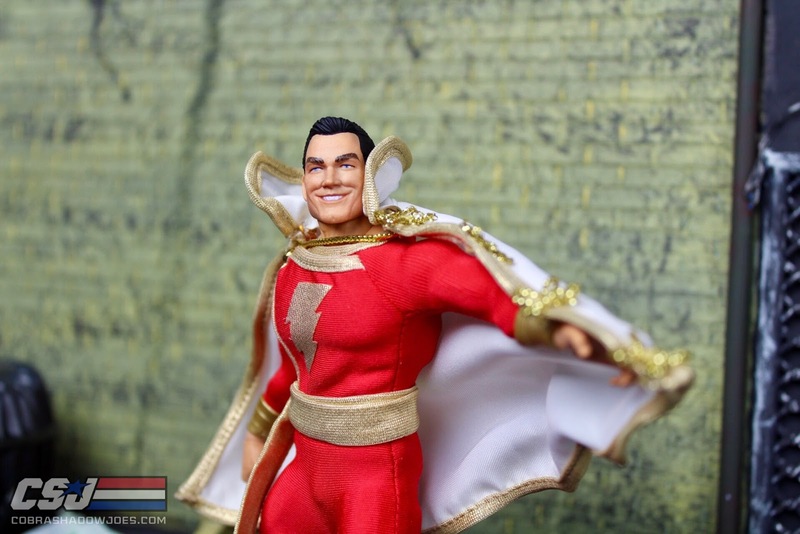 The fabric proportions on the uniform felt a little off to me, but still captures his look. Shazam comes in the standard Mezco box packaging with a nice piece of artwork on the inside of the box. 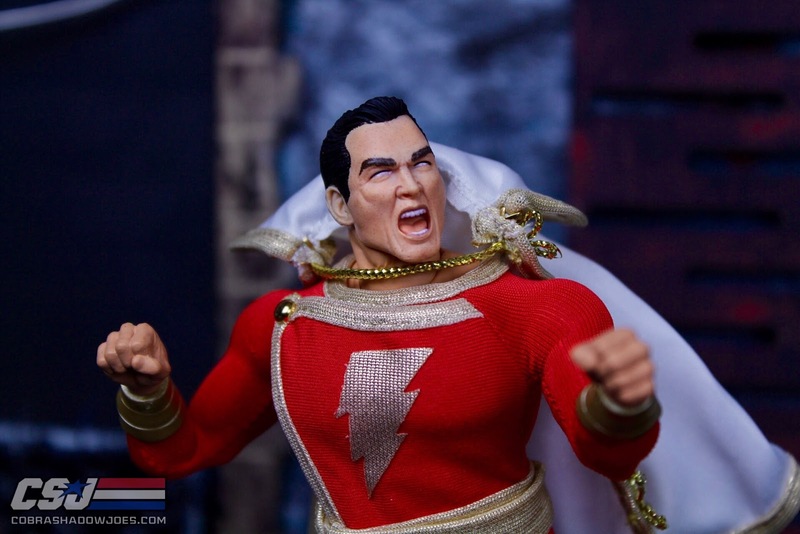 When you open the box he is displayed in window packaging revealing all that he comes with along with his stand. 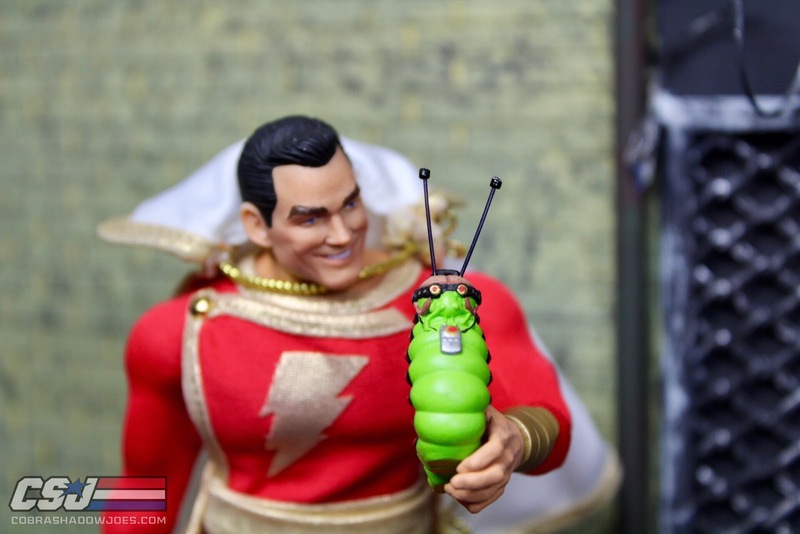 Mezco's packaging is always a highlight with any figure you buy from them. 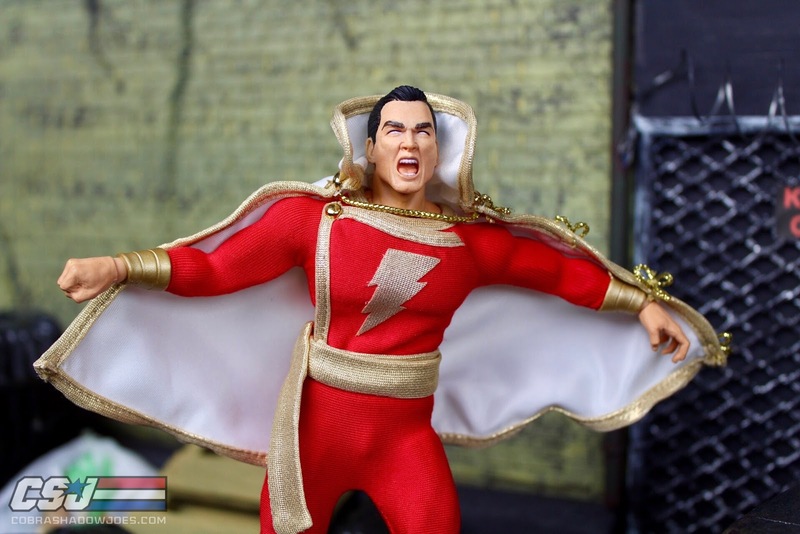 To no surprise, I am very pleased with how Shazam turned out. 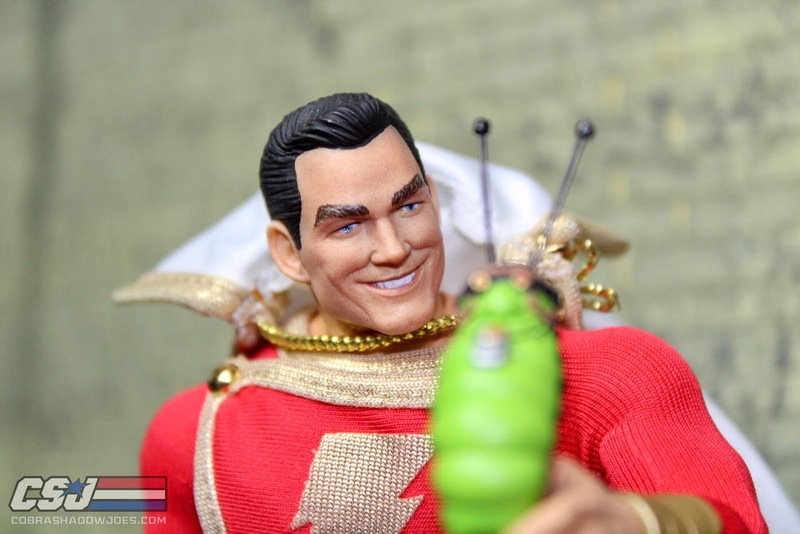 I love the fact that Mezco includes 3 different face sculpts and Mr Mind and Atom. 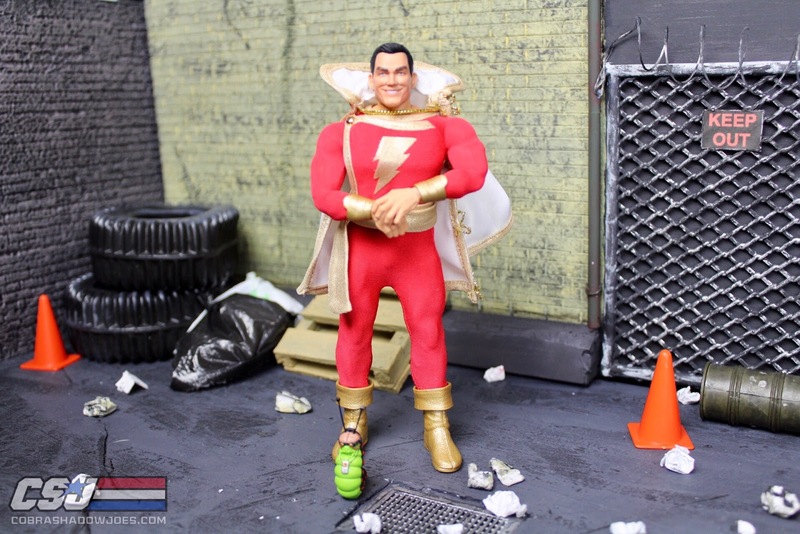 I generally pay very close attention to the extras that are included with figures, and Mezco is leaving nothing out when they are creating these amazing figures. 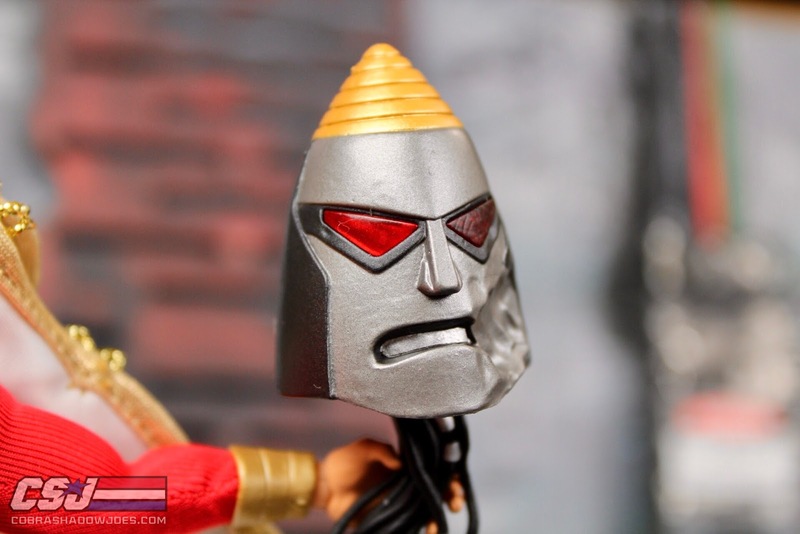 I am having a very hard time deciding which face sculpt is my favorite, which is not a bad thing at all! 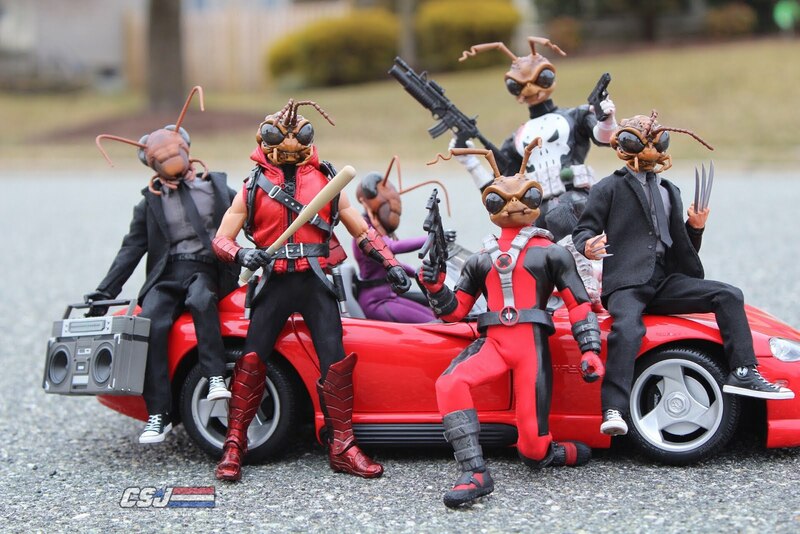 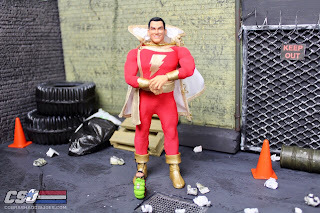 Impressed, just totally impressed with each new figure Mezco Toyz releases for the One:12 line. 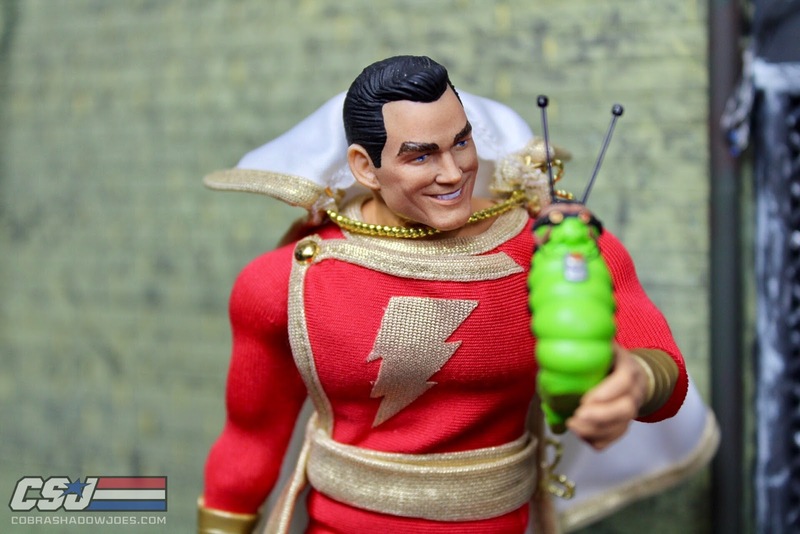 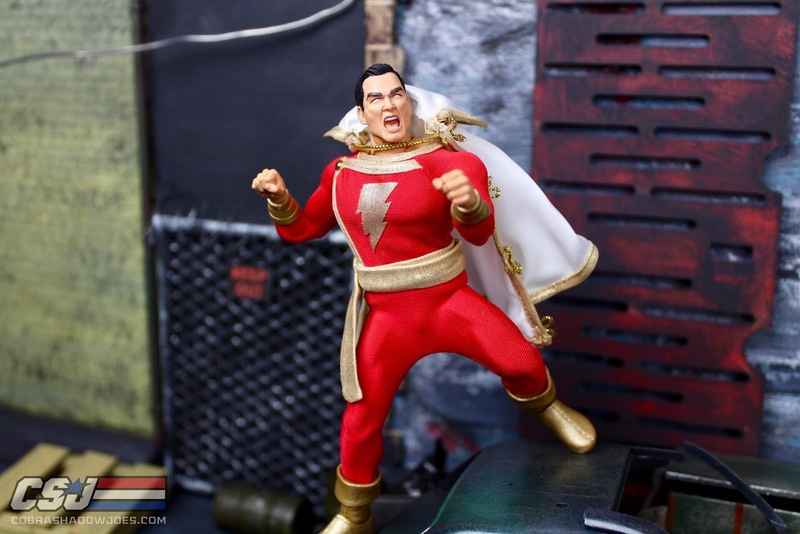 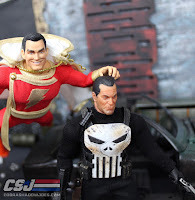 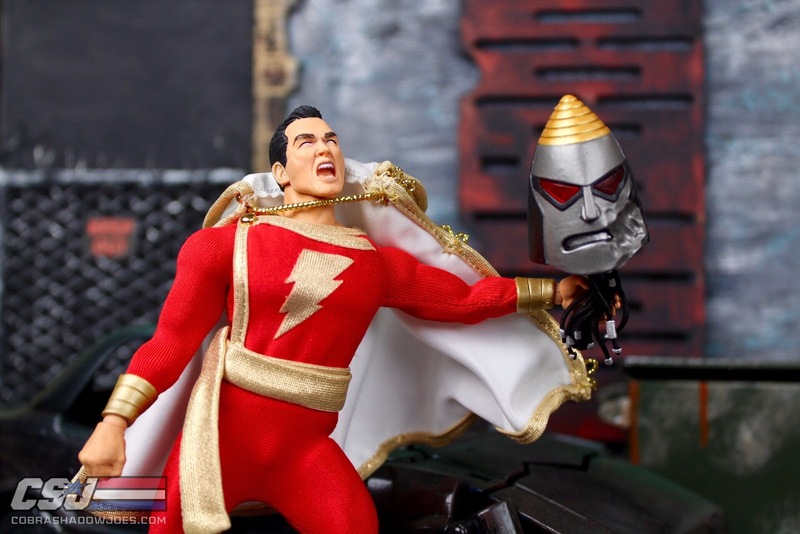 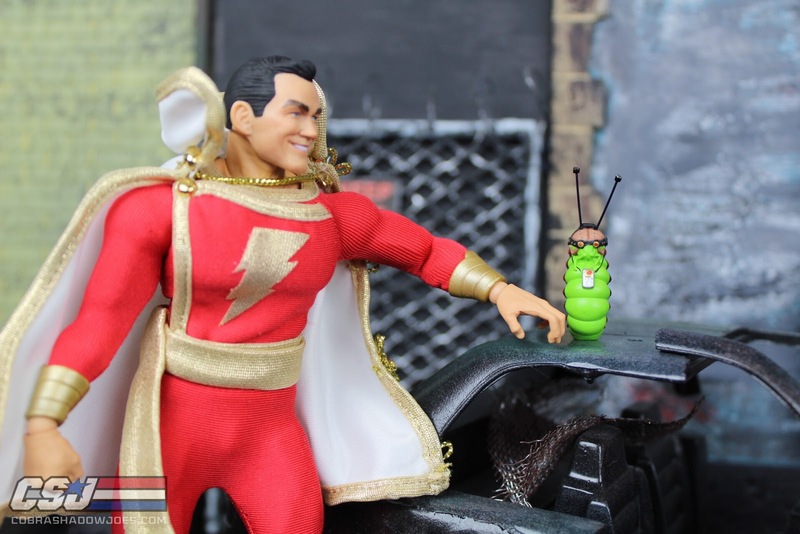 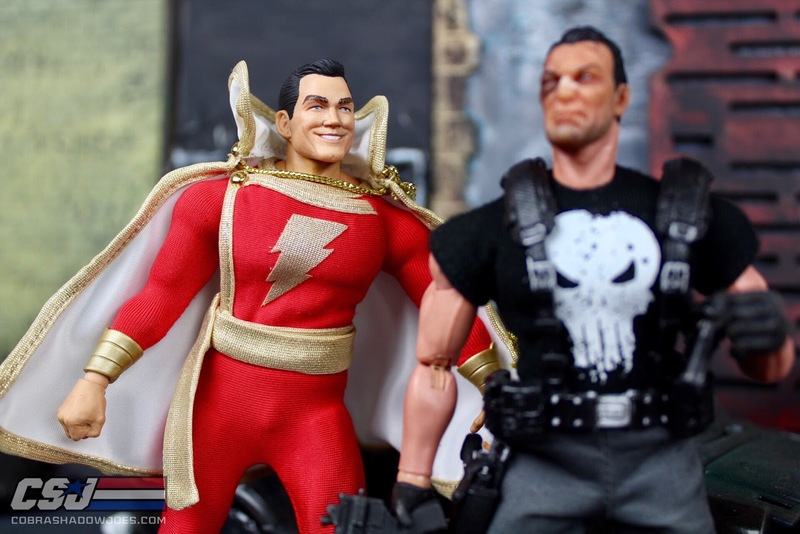 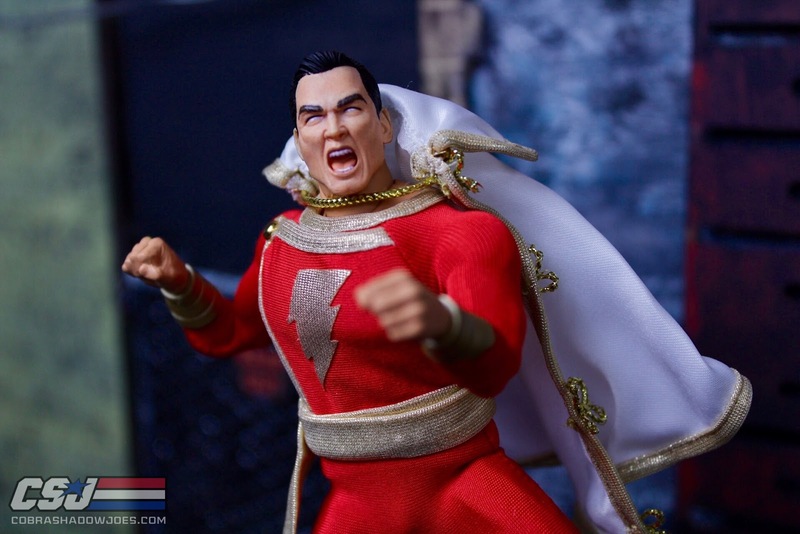 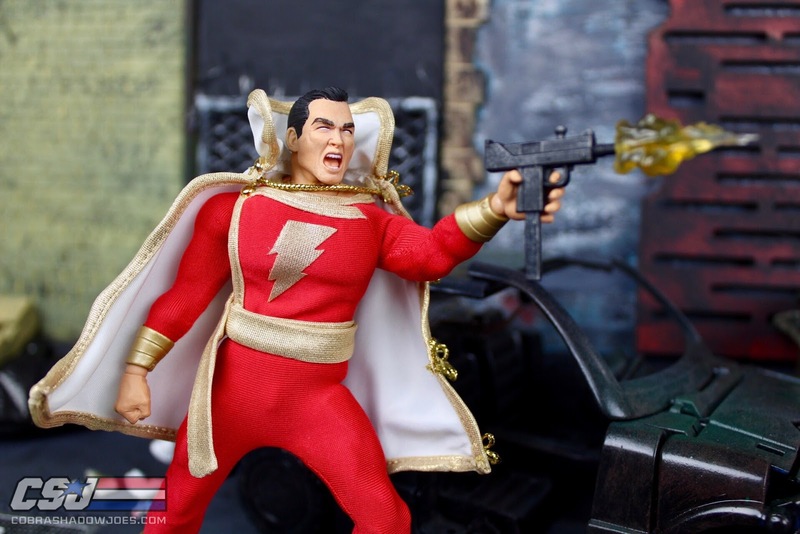 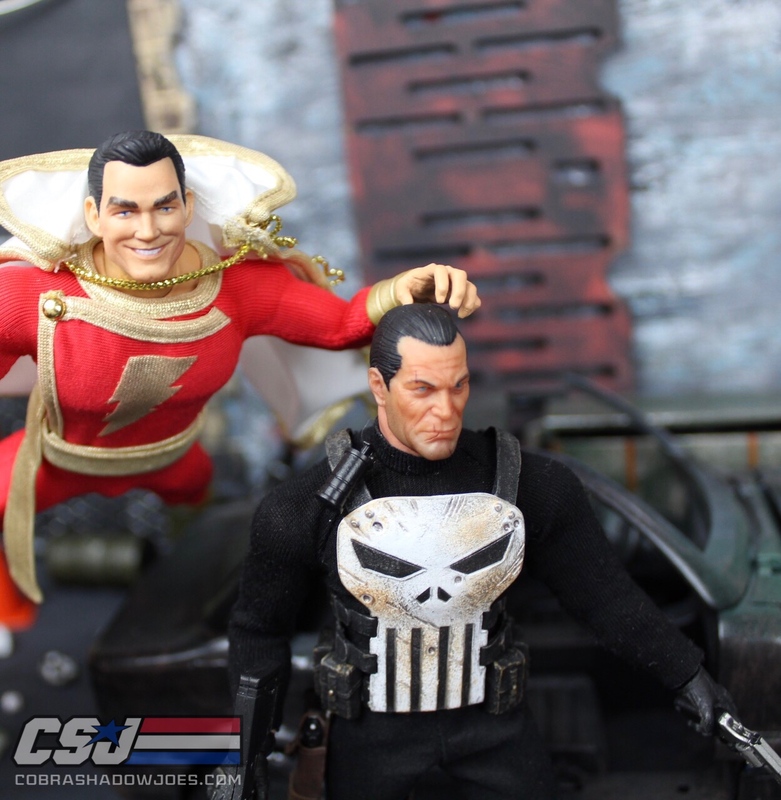 Shazam is very easy to pose, capture different looks, and great accessories to play with. 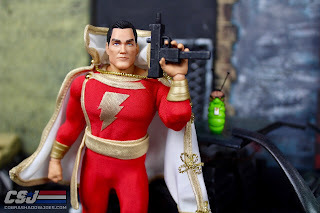 I really appreciate Mr Mind, and Mr Atom with this figure, it was definitely one of the things I was looking forward to. 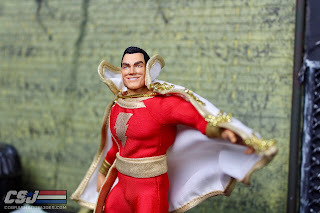 His cape really allows for a lot of different looks, and impressed at just how detailed it is. 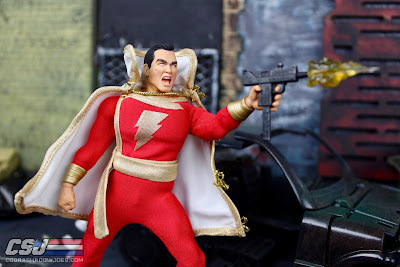 I have the 80's Super Powers version, and now I am very happy to have the Mezco Toyz version to sit on my Mezco shelf!